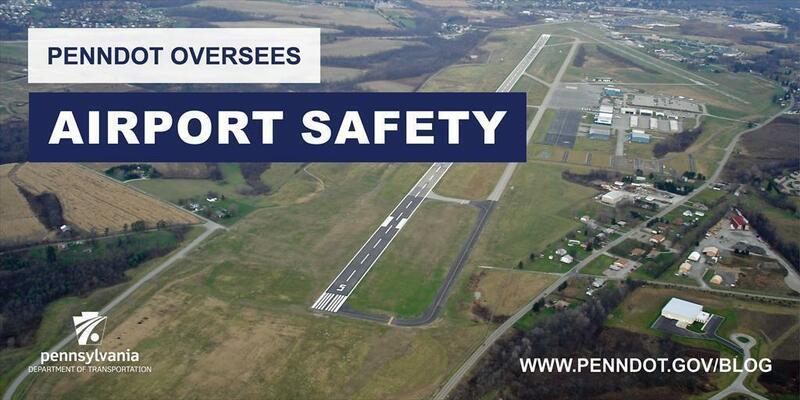 PennDOT's Bureau of Aviation oversees the safety of the 649 airports and heliports licensed within Pennsylvania. There are three main types of airports when it comes to how PennDOT determines how often to perform inspections. Here's a quick overview. A PennDOT Bureau of Aviation inspection team meets with an airport manager. Nearly one-fifth (127) of those facilities are open every day to the public for recreation, business, and flight training. As such, the bureau dedicates a higher level of oversight to the public facilities, inspecting them every year for compliance with safety guidelines. Information obtained from these annual inspections is also used by the Federal Aviation Administration to update their aeronautical publications. There are more than 244 privately operated airports located throughout the state. These facilities are typically for personal use only, and as such, the safety requirements are not as broad and can be tailored to the owner's unique situation. Private facilities are closed to the public unless prior permission is given by the owner. This provides owners an additional measure of control to limit use at their airport and assure that any hazards can be addressed prior to use. Safety inspections at private facilities are scheduled generally between every 3-10 years, depending upon the number of airplanes located at the site and type of activities occurring there. Pennsylvania hosts approximately 120 hospital heliports and medical center heliports. These sites are also privately operated facilities, but due to the public nature of the flight operations, safety expectations are higher and inspections more frequent (every 2-5 years). The Bureau's safety team coordinates closely with hospital staff and medevac crews to assure the appropriate measure of managerial oversight is given to these landing areas. Only five PennDOT teammates oversee the licensing and safety of all these facilities. They routinely interact with the FAA, airport and heliport owners, municipal and legislative officials, pilots, airport consultants, and concerned neighbors.